Difficulty: 1 of 10. It’s handicapped/stroller accessible. NOTICE: This stretch of trail was hit by a 3,500 acre fire in July 2017. It has been closed for a little less than a week so far. I’m not sure how damaged this trail is (I would think the damage would more more to the overlapping Blue Trail and White Trail), but if the blazes are damaged it’s unlikely that the the blazes will be fixed before Labor Day 2017. Terrain – Almost all flat. Pine forests and lake. 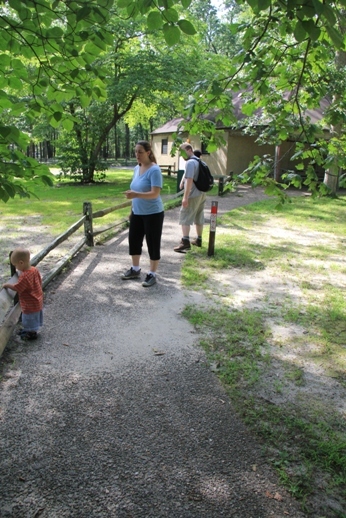 The trailhead begins just at the edge of the Batsto parking lot. Markings – Traditional red markings. 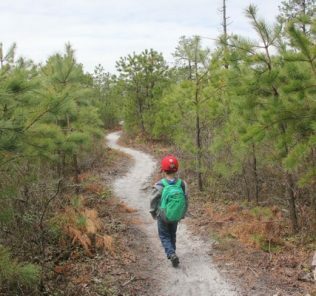 Pay attention, there are a lot of trails coming together around Batsto, including THREE Batsto Lake Trails (each a different color). 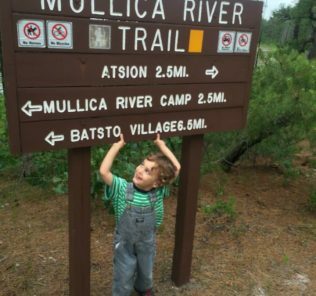 Description: This is a short, sweet, lollipop introduction to Batsto Lake. 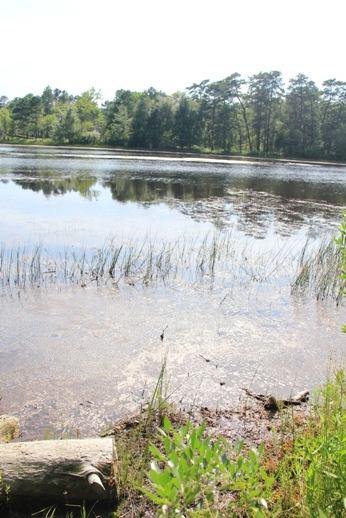 Two longer Batsto Lake trails (starting at the same trailhead) take you on longer jaunts up the side of the lakeshore. 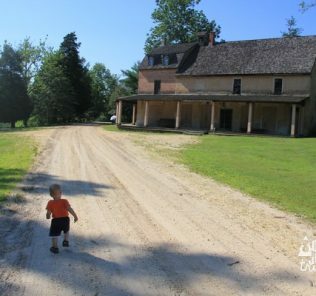 This one is great for small kids (it’s more or less all paved, gravel, or boardwalk) or as a combination with checking out the rest of Batsto. We did this one after exploring the former ironworks town and doing the Tom’s Pond Trail at the other end of Batsto. Head out and almost immediately cross the Washington Turnpike. 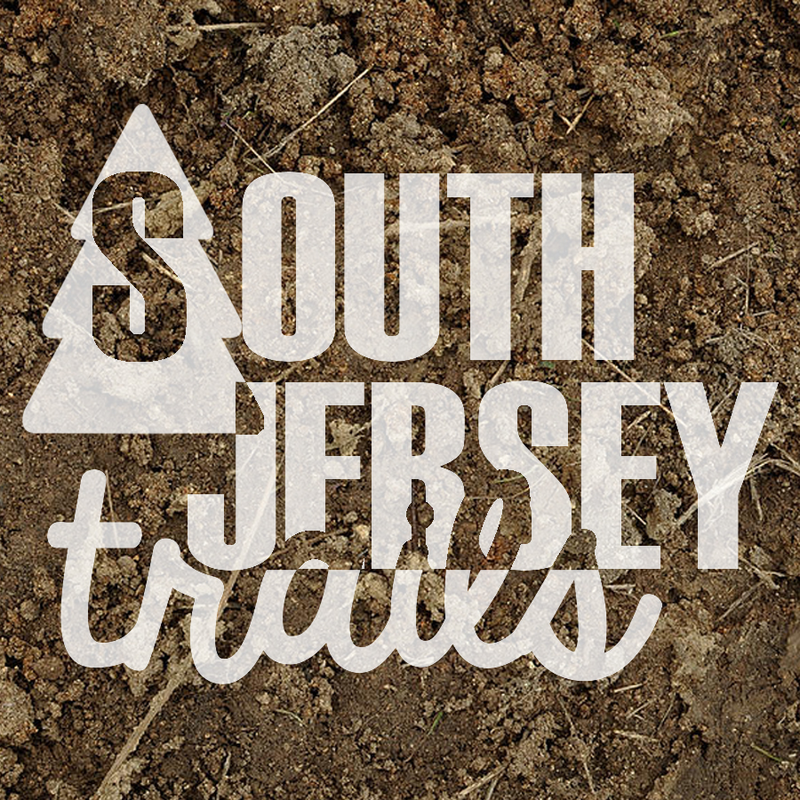 The trail will skirt Goodwater Road and a maintenance building for the park, cross over a bike trail, and then establish itself more independently. 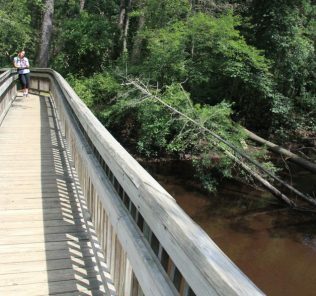 The trail heads off in two directions – don’t worry, it’s looping back to itself. I suggest heading right. 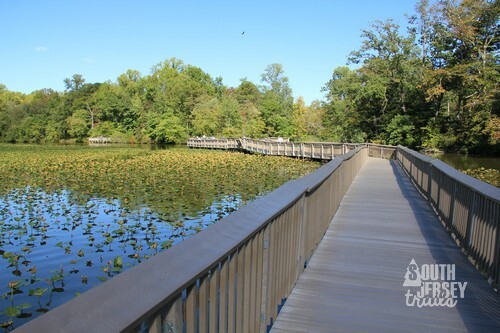 You’ll come to some sections of boardwalk, which will eventually put you out by the lake. 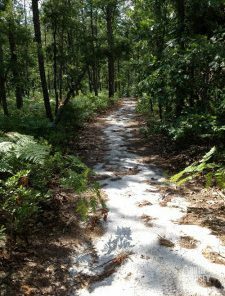 Before you know it, you’ve backtracked to where the trail split. Head back to where you started. 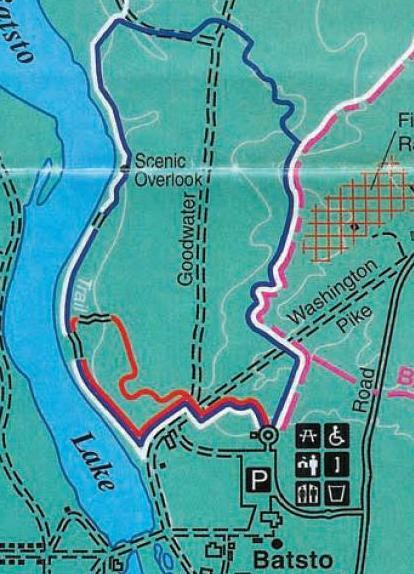 Other options: The Batsto Lake Trail (Blue) is 1.8 miles. 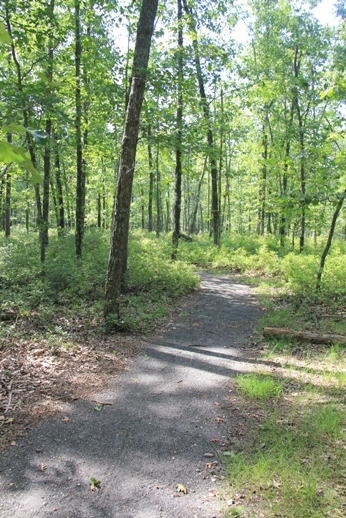 The Batsto Lake Trail (White) is 4 miles. Nice view of lake without much walking. No real negatives, other than the awesomeness of the other trails at Batsto. This hike is short and sweet. 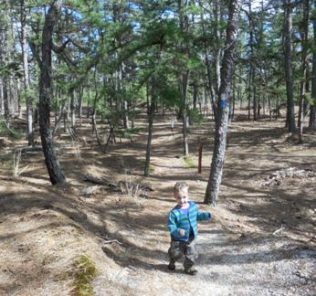 Well worth combining with any number of activities nearby, especially exploring Batsto or any of the other numerous trails around Batsto.